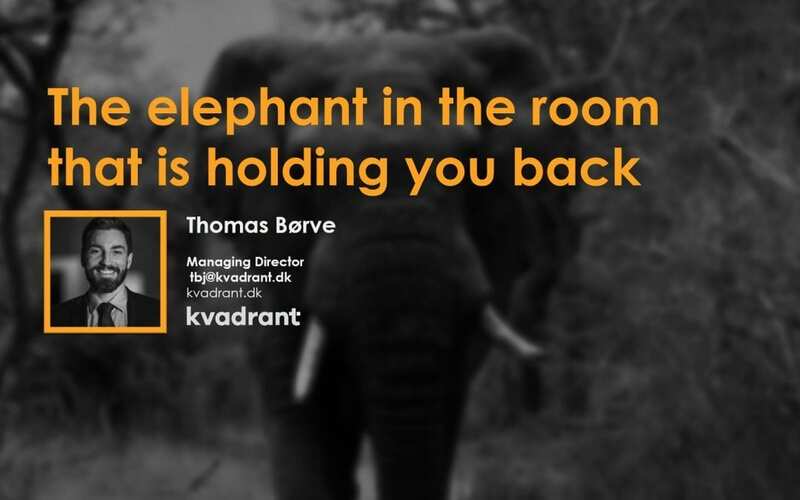 There is a gigantic gap (the elephant) between sales & marketing in B2B organisations and it costs a whopping $1 trillion a year in decreased sales productivity and wasted marketing efforts. The upside potential is equally staggering: B2B organisations with aligned sales and marketing functions are able to realise 36% YoY revenue growth, vs. 7% revenue decline for the least aligned. Highly aligned sales & marketing organisations deliver faster growth at a lower cost but the majority of B2B companies continue to work in a siloed sales and marketing setup from the 80´s at point in time when integration is more important than ever. Historically, sales and marketing have operated as separate functions, with distinct separate responsibilities. Marketing was tasked with creating awareness and product catalogues. Sales was tasked with creating new opportunities and closing business. But in a digital world with endless connectedness these lines are increasingly blurred. Sales people are able to leverage digital tools to work as marketers, for example when they create a followership and establish themselves and the company they work for as defacto thought leaders within their field by utilizing social media to place messages with potentially hundreds or thousands of people in the blink of an eye. Marketing are able to leverage digital tools to work as sales people, for example when they leverage content marketing to place a highly relevant insight with a CXO in a must-win account based on very detailed knowledge about her interests and behaviour. Commercial success in the 21st century is about sales and marketing taking advantage of the possibilities that technology is placing right in front of them and to take a joint responsibility for the lead- and opportunity process. This means creating a new and more collaborative sales and marketing operating model for how to generate awareness, engagement, conversions and ultimately win the big deals.